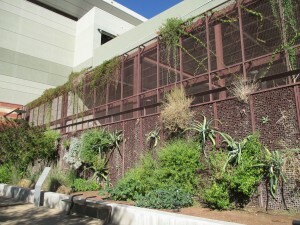 Low Impact Development (LID) is an element of green infrastructure design that has not been widely recognized in the Desert Southwest until recently. Then, spurred by EPA incentives to include LID is as part of their MS4 permit renewal, the City of Mesa teamed with the City of Glendale to procure a grant from the Water Infrastructure Finance Authority of Arizona to develop guidelines and educational tools that could be used in policymaking, development of new design guidelines and details, and the education of the city agencies, developers, businesses, and residents. The project team was led by landscape architects. The engineering team supported the designers, and together the team developed a highly graphic toolkit approach. The Toolkit describes the need, benefits, and best practices in a concise presentation that is easily communicated and understood by a range of audiences. 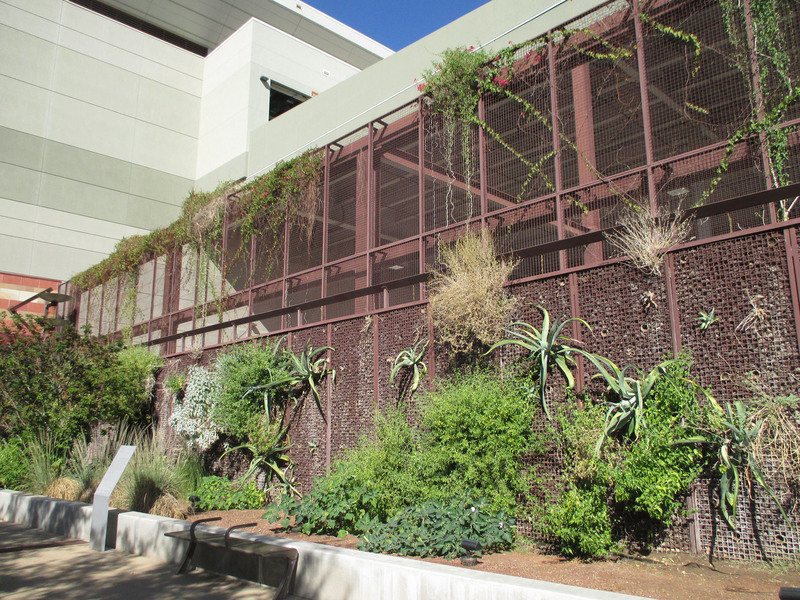 LID is a sustainable approach to stormwater management that uses landscape design to reduce offsite flows. These offsite flows can contribute to poor water quality, flooding, and added infrastructure costs. The goal of LID is to mimic the predevelopment hydrologic regime of a watershed area or site by implrmenting techniques that are illustrated in the toolkit. 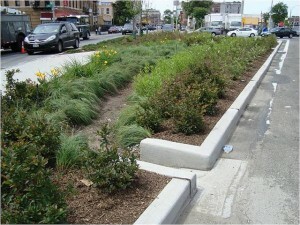 We created the LID Toolkit to define LID techniques, and to explain how implementation of green infrastructure techniques can impact representative areas. 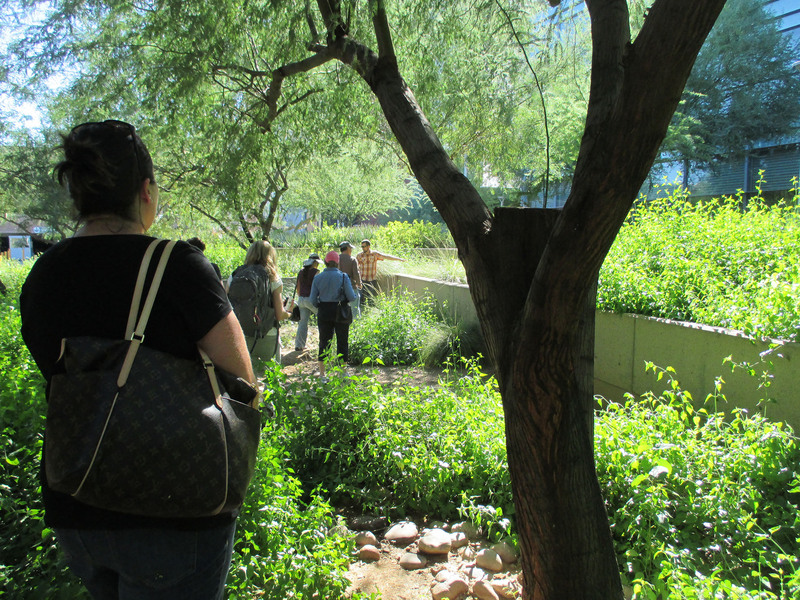 In this way, the LID Toolkit will help the cities who use it, including Glendale and Mesa, to find ways to integrate it into their stormwater management systems. 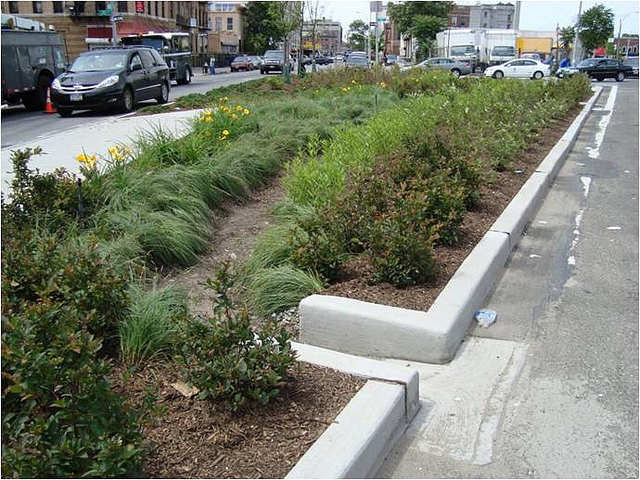 The ultimate benefit of utilizing LID is to reduce stormwater impacts while conserving water and improving urban landscapes. 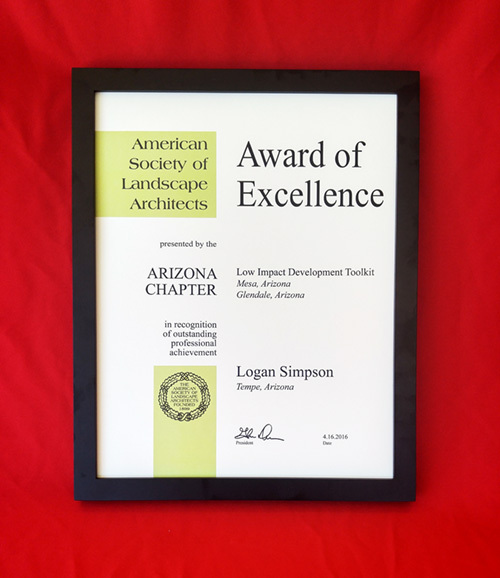 The landscape architects worked closely with the various departments at each city, presenting examples of LID that were tailored to the Lower Sonoran Desert landscape. In addition, the LID Toolkit identifies concerns and potential barriers to implementation in each jurisdiction. Once the Toolkit was developed, the landscape architects presented to public forums that included city agencies and staff, developers and builders, and the general public.